All I can see is that the advice they rejected was to build the cheapest possible option (reuse the old corridor), because the whole point of the truncation exercise was meant to be to convert the corridor to open space. Putting it on Hunter St should make it more usable and attractive if they do it properly (big "if" for NSW). Transport for NSW today announced a major step forward in the revitalisation of Newcastle, with registrations of interest now open for companies to design and construct Newcastle Light Rail. Newcastle’s new light rail line will run from Wickham to Pacific Park, delivering a modern and reliable transport service for the community and kick starting revitalisation of the CBD. Transport for NSW said the NSW Government was committed to delivering a new light rail network for the region, with construction expected to start later this year. "We’re now calling on qualified organisations to register their interest for the design and construction tender for light rail. From here we’ll develop a shortlist and expect to award a formal tender by the middle of the year," a Transport for NSW spokesperson said. "This is an important step in the project to make sure the best people are on the ground to get on with the job. "We are committed to getting light rail in Newcastle right. To do this, we need the right people to design and construct Newcastle’s light rail - on-time, on-budget and with minimal disruption to the community. "Transport for NSW is full steam ahead on this project, and expects to start consultation with the community in the coming months as part of the light rail planning approvals process." The registrations of interest period is expected to close on 12 February 2016. The NSW Government will prepare a shortlist of respondents who will then be invited to tender. The Fixed Infrastructure Contract is expected to be awarded in mid-2016. I like how the NSW government moves and gets things done like the expression of interest process is only a month. In Qld that would be a year. Light rail to the airport? Really? Williamtown has around 1/5th of OOL's patronage, and there is literally nothing on the route for kilometres after it crosses the Hunter. THE Baird government has given the final tick of approval to the Newcastle Light Rail project, making only cosmetic changes to the plan in response to the 400-odd submissions received in the report’s Review of Environmental Factors. The Newcastle Herald can reveal that Transport for NSW has given the final go-ahead to the project, paving the way for the government to get moving on its 2.7 kilometre light rail plan. On Tuesday, the government will release the submissions report compiled after the release of the REF. Despite making a number of what the minister called “key changes”, the main elements of the project – including its route down Hunter street – remain unchanged. As previously reported by the Herald, the track will be built in line with the road along the route, instead of the raised tracks initially proposed. As well, the track alignment at Worth Place will be altered to ensure “a smoother turn and quicker travel time”, while a second track will be built across Stewart Avenue near the new Wickham Interchange to reduce disruption “when future light rail extensions are built”. “We want Novocastrians to own this project and be a part of the plans to revitalise this historic harbourside city. Light rail is a major part of that,” Mr Constance said. The government said it would begin work on a parking strategy that “considers off-setting the loss of parking” and to “consider how parking is currently used in the city”. Transport for NSW has refused to release the individual submissions made about the project, but the report reveals that more than 50 per cent of the submissions raised “alternative alignments and location options”, including running the light rail track down the existing rail corridor. However the department dismissed that idea, saying the route “should have minimal turns and take the topography, geography and other constraints within the built environment into account, to allow faster journey times and a better customer experience”. 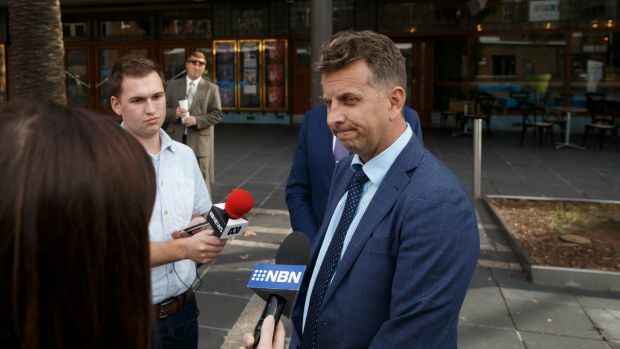 Transport Minister Andrew Constance will also announce on Tuesday that the government has awarded Downer EDI the manufacturing contract for the project. “Downer is a leader in the provision of transport infrastructure, and has a strong presence in the Hunter region,” a spokesman for the minister said. Construction works are to begin on Hunter Street on 12 September for Newcastle’s light rail line, kicking off what the NSW government has called a “major phase” of its $660 million Revitalising Newcastle program. Initial works are to occur on Hunter Street between Auckland Street and Darby Street, and will include the reallocation of utilities infrastructure such as water, gas, electricity and telecommunications, as well as civil construction work such as road reconfiguration and the installation of light rail track. Revitalising Newcastle program director Michael Cassel said that preparations for these works had been conducted by the light rail team for over a year. “This includes creating new pedestrian and vehicle access points between Hunter Street and the harbour, and consultation with local businesses and residents to determine their needs during construction,” Cassel said. When work begins, traffic will be temporarily diverted around the construction zones, while Honeysuckle Drive, Wharf Road and King Street will remain open. “Locals can be reassured that Newcastle will remain open for business,” Cassel said. Construction works in this section of Hunter Street are expected to be complete by the end of the year. 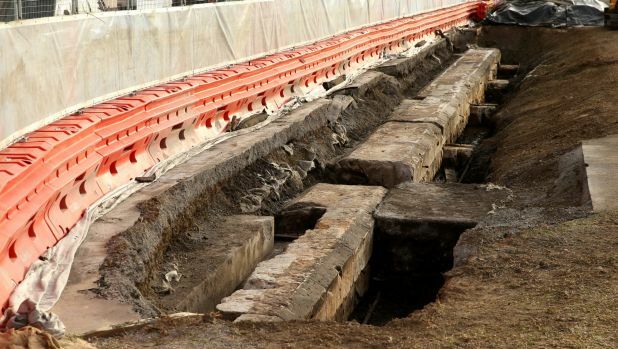 A fresh NSW transport leak reveals that the decision to shut down the last two kilometres of the Sydney to Newcastle railway line was taken before costing the light rail replacement and without an assessment of costs and benefits. The cabinet-in-confidence report, prepared after the decision to close the line, refers to the decision as a "sunk cost" estimated at about $200 million. The leak comes one day after Transport Minister Andrew Constance defended spending $200,000 hunting down the source of transport leaks, invoking national security. The 2.7-kilometre light rail link that will replace it is costed at about $250 million, bringing the total cost, inclusive of planning and development and urban renewal work, to about $600 million, about $220 million per kilometre. The projected benefits nowhere near cover the costs. The cabinet-in-confidence document puts the benefit-cost ratio at 0.7, meaning it will only deliver 70¢ in benefit for each dollar spent. If the value of the land released is excluded from the calculation, in line with a suggestion from the NSW Treasury, the benefit-cost ratio falls to 0.5, meaning 50¢ is destroyed for each dollar spent. A separate, hypothetical plan to merely proceed with urban redevelopment without pulling up the rail line had a benefit-cost ratio of about 2.4, meaning that each dollar spent would deliver $2.40 in benefits. A covering note, written by David Evans, chairman of the Newcastle Urban Renewal and Transport Program, notes that the business case takes "as given" the government's commitment to light rail. It says the proposed light rail component "takes up a dominant and increasing share of available funding". "This has the potential to greatly reduce the available funding for urban renewal and economic development activities which we believe are much needed," the note says. "The business case shows that a range of urban renewal initiatives have a substantially higher cost benefit outcome and could make a greater contribution to urban renewal objectives than light rail." The document leaked to Fairfax Media and the ABC reveals that Restart NSW, the body established the NSW government to fund high-priority infrastructure projects, rejected the plan because of legal requirements that prevent it in investing in projects with a benefit-cost ratio of less than 1. The bulk of funding instead comes from a general revenue fund known as the NSW transport capital plan. About $44 million is to come from selling development land freed up by removing the rail line. The land under the rail line is believed to be valuable because it can take the weight of tall buildings, unlike surrounding land which is at risk of subsidence from mining. The report notes the land is a long and narrow corridor "with a footprint that does not provide viable shaped or sized sites". It says fragmented ownership limits potential future consolidation. The land is contaminated with heavy metals and hydrocarbons. In a departure from best practice the report does not examine alternatives to light rail including a shallow cut-and-cover rail tunnel of the kind used in Sydney's Hyde Park or a bus lane upgrade, which it acknowledges would cost $10 million rather than $250 million. Transport Minister Andrew Constance defended spending the money on identifying the source of the leak. "If you think information that resides within the Department of Transport being leaked is some sort of laughing matter in today's world ... in light of what's happening in the UK, in light of what's happening elsewhere around the world, you are kidding yourself," he said. "We live in an era that relates to cyber terrorism and a whole raft of security issues." Asked whether the government continued to maintain that the project was value for money in face of the benefit-cost ratios reported to cabinet of 0.7 and 0.5, Mr Constance said consigning Newcastle to further decline was not an option. "Since the truncation of the heavy rail line, Newcastle has undergone a revitalisation that has seen population grow by 4.6 per cent and employment rise by 9 per cent," he said, adding the ultimate value of the project was in the revitalisation of the city and had resulted in nearly $2 billion in private sector investment. "The truncation of the line has also allowed us to commit to building affordable housing and the university in the corridor. We made a commitment to the people of Newcastle that we would return a portion of the port's lease to improving the city, and that is exactly what we are doing." Newcastle Now wants an audience with premier Gladys Berejiklian on Friday to try to secure more money for its light-rail relief plan. The business support group is working on a package to provide immediate financial relief to traders affected by tram-line construction in Hunter and Scott streets. It has spoken to Newcastle City Council and the state government about backing the plan but hopes to press the point further when Ms Berejiklian visits the city on Friday to help officially open the University of Newcastle’s NewSpace building. The premier said on a visit to Newcastle in December that the government was “considering” rental assistance for affected business, but nothing has materialised. Three weeks ago the council proposed its own assistance plan, a 50 per cent rebate on a special rate which CBD property owners pay to fund Newcastle Now, but this was dismissed as “tokenistic” by former Newcastle Now general manager Michael Neilson. Mr Neilson’s replacement, Richard Christian, said the Newcastle Now package would provide “meaningful” relief, unlike the council’s plan. “I wanted to make clear that what we’re tying to do here is provide a meaningful and targeted package, so we’re concerned with some of the proposals that have been put forward by council and such, that they’re not going to provide meaningful relief,” he said. “The only thing that’s yet to be determined is how much money will be in the bucket. “As soon as we have the amount finalised we will be able to start referring people to The Business Centre, where they will be assessed. The government has not said when Hunter and Scott streets will reopen but says testing on the track will begin late this year. Mr Christian said he had requested a meeting with Ms Berejiklian via parliamentary secretary for the Hunter Scot MacDonald. Newcastle Now announced on Thursday the first stage of its relief plan, including free 12-hour consultations with business advisers and financial advice. NEWCASTLE has its first light rail stop after the platform outside the Civic Theatre was completed. 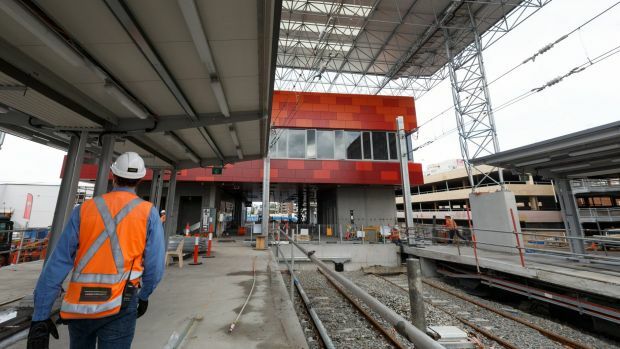 The stop, in the shadow of the former Civic rail station, has its structural steel built in the Hunter. It was assembled off-site and trucked into position, with a 55-tonne road crane lifting the 6.5 tonne roof canopy into place. The installation took about four hours, and makes the area the most complete section of the new light rail route so far. The stop leads Honeysuckle, Crown Street, Market Street and Pacific Park as the first to come together. Revitalising Newcastle program director Michael Cassel said Civic was taking shape as a central plaza for the city. “Civic gives one of the most striking examples of Newcastle’s change over the past decade, and is very quickly turning into a place that is energised by people and new developments, such as the University’s NeW Space and law courts,” he said. “Revitalising Newcastle is taking advantage of Civic’s location as the geographical heart of the city to enhance north-south connectivity through the city. “Our vision for the precinct is taking shape, with new widened footpaths, completed track with traffic on the road, and now the first of our light rail stops, which will soon be the primary jumping-off point for the Civic Theatre and the University, Newcastle Museum and the Art Gallery, and cafés, restaurants and bars from Darby Street right through to Honeysuckle. Mr Cassel said work was on track to have trams out for testing this year. Light rail is expected to be operational in early 2019. The ongoing works include a third and final scheduled closure of Stewart Avenue from 7pm Friday between the Honeysuckle drive turn-off and Hunter Street. It is slated to reopen 5am Monday. It's looking good! That whole precinct will look great when finished. It really needed the Light Rail to get things kick started. The first Newcastle wireless light rail vehicle passed its initial test this week, moving along Hunter Street using its own power. Testing began after the completion of a series of safety checks following the arrival of the vehicle from Spain last month. Newcastle’s light rail vehicles feature energy storage units that are charged at each stop on the network during the boarding of passengers. NSW transport minister Andrew Constance said that first powered test was a milestone on the way towards day time testing. “Powered testing allows us to check things like the brakes, onboard energy storage and charging systems, while at the same time provides valuable training for crews in the new light rail system,” Constance said. Testing is to continue at night over the coming weeks and will include simulations such as filling the tram with weights to mimic the load of full passenger capacity and checks to the traffic signal interactions at pedestrian crossings and intersections. Night tests ensure the system is operating safely and efficiently under controlled conditions. Day time tests commence in the coming weeks and will involve simulated timetables and driver training. Newcastle light rail services are scheduled to begin in early 2019. In a sense it is the perfect setting for getting wireless operation as good as it can get. Limited utility to the wider transport network, not time sensitive to anywhere near the same extent as other lines etc etc, so if it all goes kaput then it doesn't matter terribly much. There's no way I would want this to appear on the Gold Coast because constant recharging does nothing except make services slower because of the artificially imposed dwell times at each stop and turnaround times at each end compared with always being plugged into the mains.